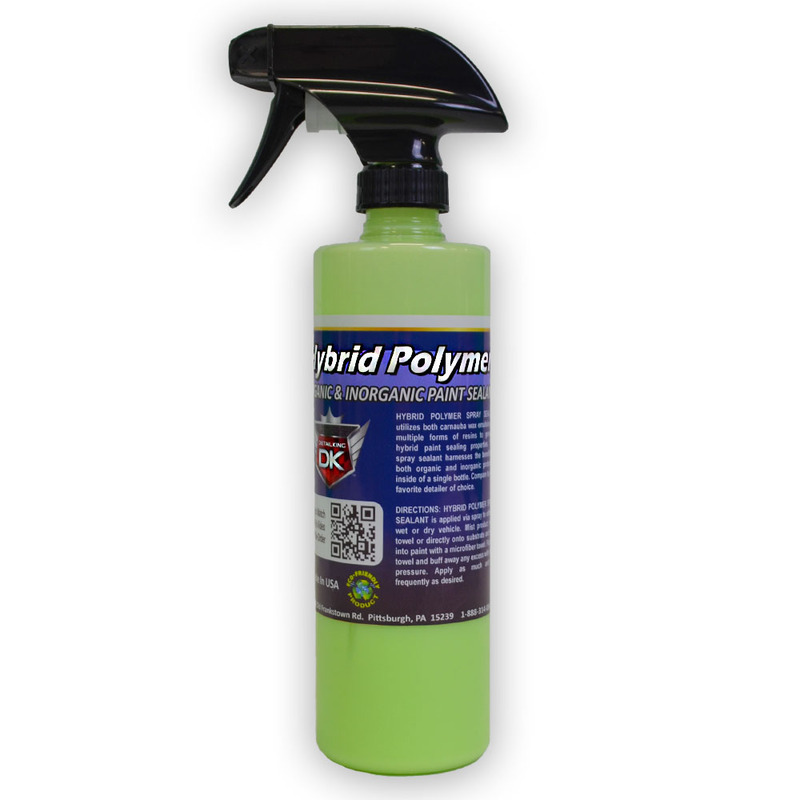 Our Jade Hybrid Polymer Spray Sealant Utilizes both Carnauba Wax and multiple forms of resins to create a hybrid paint sealant! This spray sealant harnesses the benefits of both organic and inorganic protection and puts them both in one bottle! Carnauba is known as ORGANIC and provides a unique finish, sometimes described as a GLOW. The inorganics formulated with this product are the resins and modified silicates which provide durability, gloss, and resistance to bird droppings, bug residue, and detergents. To use Hybrid Polymer, apply to a wet vehicle. Apply product onto towel and directly onto paint and buff with your towel. Flip the towel over and buff away any excess with light pressure. Apply as much and as frequently as you want!